Can we keep nanomaterials out of landfills and prevent them from permeating the rest of our ecosystem before we know if they’re safe, by making them degrade harmlessly? You have to be careful with making things ‘too biodegradable’, especially if they are meant to ‘nanomedically’ treat disease, otherwise they might just end up being degraded before they can ‘deliver their cargo’. Similarly, with aircraft, you may want to use nanotech to create stronger materials that enable you to fly lighter planes that use less fuel, but you wouldn’t want any ‘natural degradation phenomena’, like oxidation (i.e., ‘nanorusting’?) to undermine the potential safety or lifespan of the aircraft. 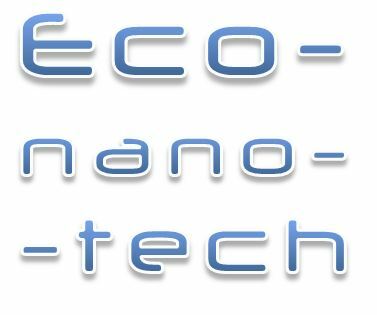 In simple terms, what we want is ‘degradation on demand’ or at least an understanding of ‘biopersistence’ issues in nanotechnology, so that we know how we can control the manufacture, use and disposal of the materials. We want things to be able to degrade when we want, into the kinds of ‘degradation products’ we know are safe. Over the past three decades, revolutionary research in nanotechnology by the scientific, medical, and engineering communities has yielded a treasure trove of discoveries with diverse applications that promise to benefit humanity. With their unique electronic and mechanical properties, carbon nanomaterials (CNMs) represent a prime example of the promise of nanotechnology with applications in areas that include electronics, fuel cells, composites, and nanomedicine. Because of toxicological issues associated with CNMs, however, their full commercial potential may not be achieved. The ex vitro, in vitro, and in vivo data presented in this account provide fundamental insights into the biopersistence of CNMs, such as carbon nanotubes and graphene, and their oxidation/biodegradation processes as catalyzed by peroxidase enzymes. We also communicate our current understanding of the mechanism for the enzymatic oxidation and biodegradation. Finally, we outline potential future directions that could enhance our mechanistic understanding of the CNM oxidation and biodegradation and could yield benefits in terms of human health and environmental safety. The conclusions presented in this account may catalyze a rational rethinking of CNM incorporation in diverse applications. For example, armed with an understanding of how and why CNMs undergo enzyme-catalyzed oxidation and biodegradation, researchers can tailor the structure of CNMs to either promote or inhibit these processes. In nanomedical applications such as drug delivery, the incorporation of carboxylate functional groups could facilitate biodegradation of the nanomaterial after delivery of the cargo. On the other hand, in the construction of aircraft, a CNM composite should be stable to oxidizing conditions in the environment. Therefore, pristine, inert CNMs would be ideal for this application. Finally, the incorporation of CNMs with defect sites in consumer goods could provide a facile mechanism that promotes the degradation of these materials once these products reach landfills. One can envision futuristic applications [of biodegadeable nanomaterials] in areas like drug delivery or imaging applications. For example, enzymes that result in biodegradation could be encapsulated inside a carbon nanomaterial that could be employed to deliver drug or imaging cargo along with all the components for its self-elimination from the body. More practically, relatively nontoxic and inexpensive enzymes may be instrumental in environmental/occupational biodegradation of carbon nanomaterial contamination introduced via spills, waste products in landfills, etc. To this end, an experiment was conducted in which fungi that are known to naturally secrete a ‘carbon nanomaterial biodegradation enzyme’ were exposed to a dispersion of carbon nanomaterials and these enzyme secretions were found to have proceeded to degrade the carbon nanomaterials. This result suggests the existence of a bioremediation pathway which would enable the degradation of carbon nanomaterials that might otherwise accumulate in the environment. Finally, an interesting avenue of research will be applying enzymatic biodegradation to other non-carbon-based nanomaterials in order to mitigate toxicity. A Pitt research team has found that carbon nanotubes deteriorate when exposed to the natural enzyme horseradish peroxidase (HRP), according to a report published recently in “Nano Letters” coauthored by Alexander Star, an assistant professor of chemistry in Pitt’s School of Arts and Sciences, and Valerian Kagan, a professor and vice chair of the Department of Environmental and Occupational Health in Pitt’s Graduate School of Public Health. These results open the door to further development of safe and natural methods-with HRP or other enzymes-of cleaning up carbon nanotube spills in the environment and the industrial or laboratory setting. Carbon nanotubes are one-atom thick rolls of graphite 100,000 times smaller than a human hair yet stronger than steel and excellent conductors of electricity and heat. They reinforce plastics, ceramics, or concrete; conduct electricity in electronics or energy-conversion devices; and are sensitive chemical sensors, Star said. “The many applications of nanotubes have resulted in greater production of them, but their toxicity remains controversial,” Star said. “Accidental spills of nanotubes are inevitable during their production, and the massive use of nanotube-based materials could lead to increased environmental pollution. The team’s work focused on nanotubes in their raw form as a fine, graphite-like powder, Kagan explained. In this form, nanotubes have caused severe lung inflammation in lab tests. Although small, nanotubes contain thousands of atoms on their surface that could react with the human body in unknown ways, Kagan said. Both he and Star are associated with a three-year-old Pitt initiative to investigate nanotoxicology. “Nanomaterials aren’t completely understood. Industries use nanotubes because they’re unique-they are strong, they can be used as semiconductors. But do these features present unknown health risks? The field of nanotoxicology is developing to find out,” Kagan said. “Studies have shown that they can be dangerous. To break down the nanotubes, the team exposed them to a solution of HRP and a low concentration of hydrogen peroxide at 4 degrees Celsius (39 degrees Fahrenheit) for 12 weeks. Once fully developed, this method could be administered as easily as chemical clean-ups in today’s labs, Kagan and Star said.